It’s getting chilly in NC! 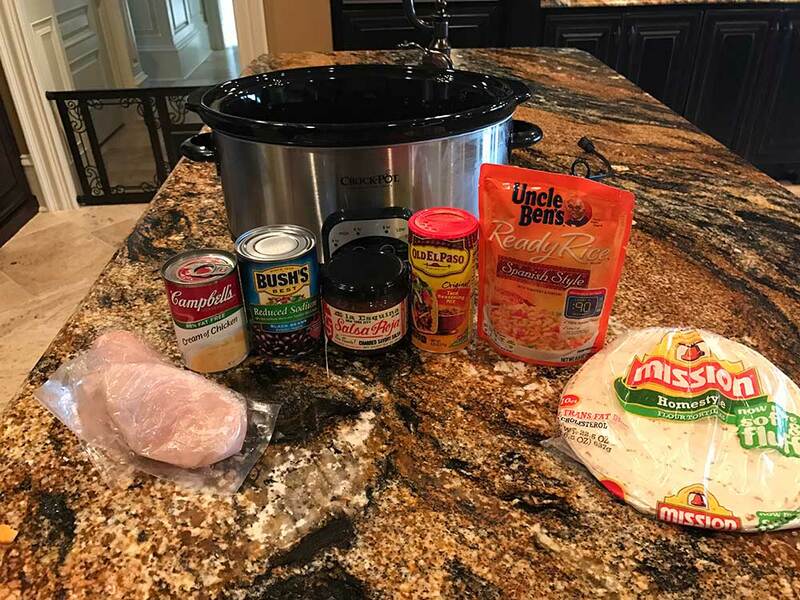 Ok, not really – it’s still 80 during the day, but it’s down in the 60s at night and that’s good enough for me to get to break out the crockpot. Don’t ask my why, but for some reason I just feel like the crockpot is more for the cooler temps during fall and winter! Anyways, the other day I wanted to make a home-cooked meal for dinner but we have been traveling so much that I didn’t have a lot of groceries to work with, so it was time to rummage through the kitchen. First, I found two chicken breasts that I had to do something with before they went bad. From there, I headed to the pantry where I laid my eyes on a can cream of chicken soup (because who doesn’t have a few cans of “cream of something soup” sitting around in their pantry always!) Next, I grabbed a jar of salsa, some taco seasoning and black beans because Mexican and Italian are always my go-to dishes. I tossed it all in the crockpot and let it cook on high for a few hours. When it was time to eat, I served the chicken on a bed of rice, or you could even put it on a tortilla and add some cheese on top! My clear-out-the-pantry concoction turned out really yummy, but a little on the salty side. The next time I make this I will use only half or just a quarter of the cream of chicken soup since I didn’t dilute it with water. We all really enjoyed it, though! What are some recipes you’ve made up on the fly?